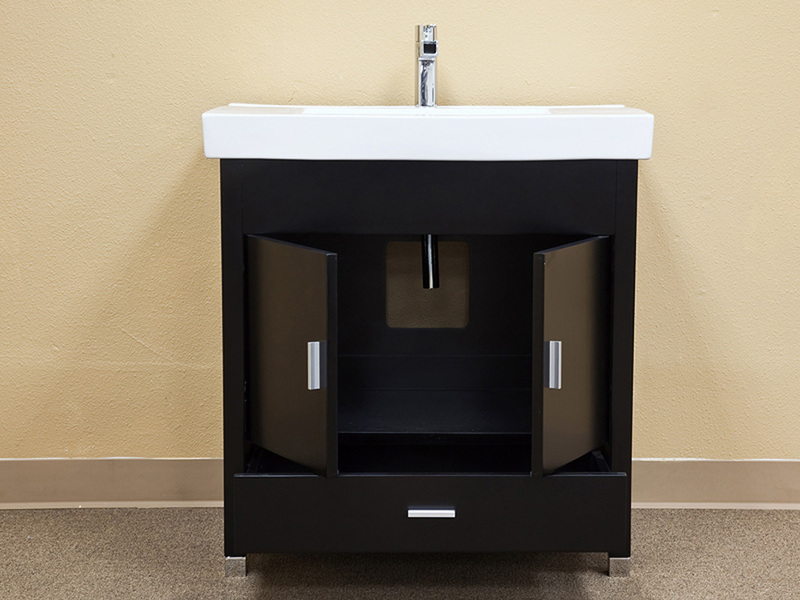 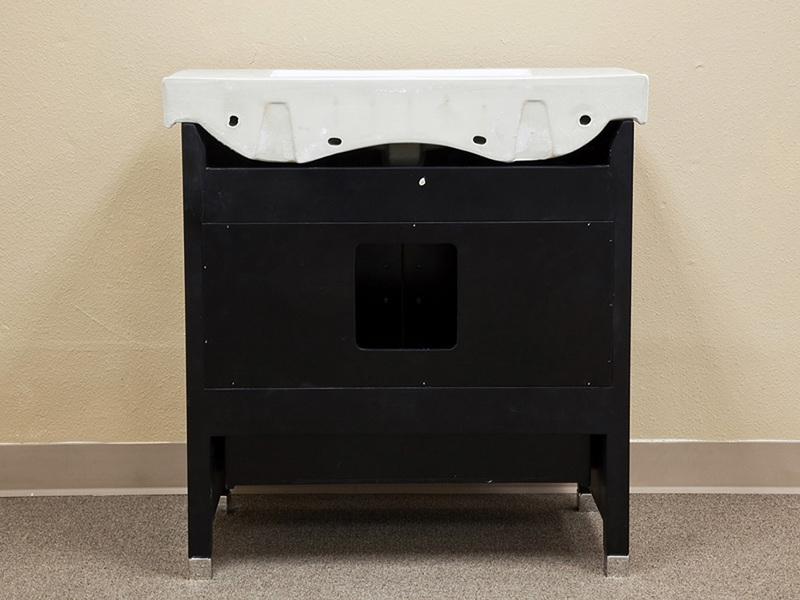 The Stillwater Single Vanity has a clean and simple design that is perfect for bringing any bathroom into the modern era. 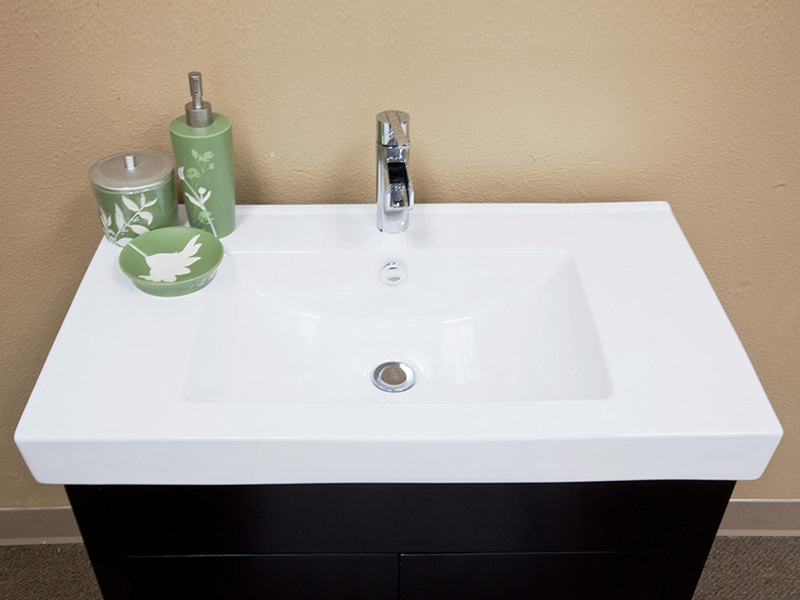 A ceramic sink and counter top sits atop the vanity, beautifully contrasting its black finish. 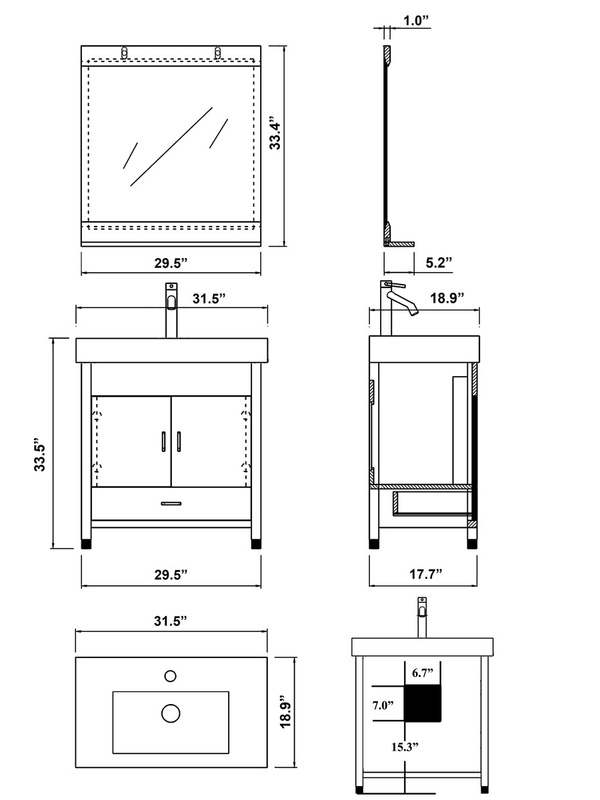 The cabinet itself is constructed from solid birch wood, and with its water proof finish, it is built to last against humidity. 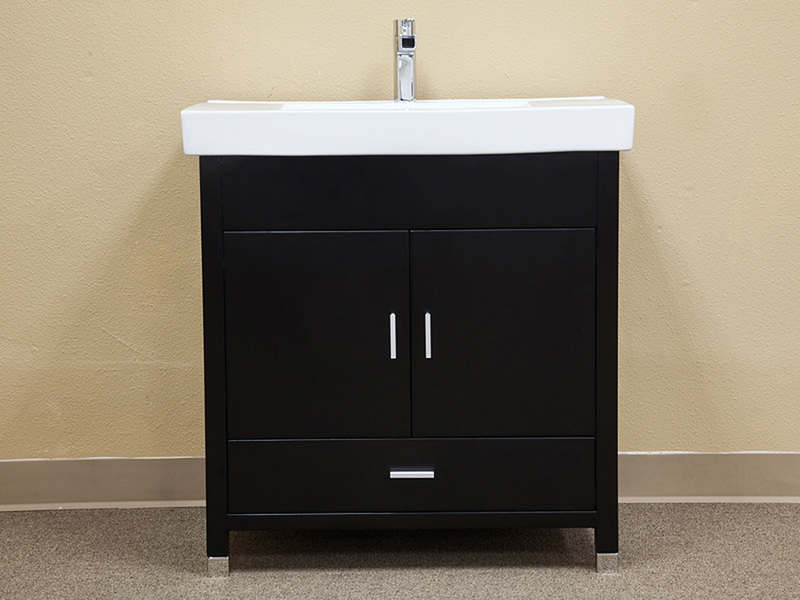 This single vanity has a single cabinet and drawer for storage, each with quality hardware for smooth opening and closing. 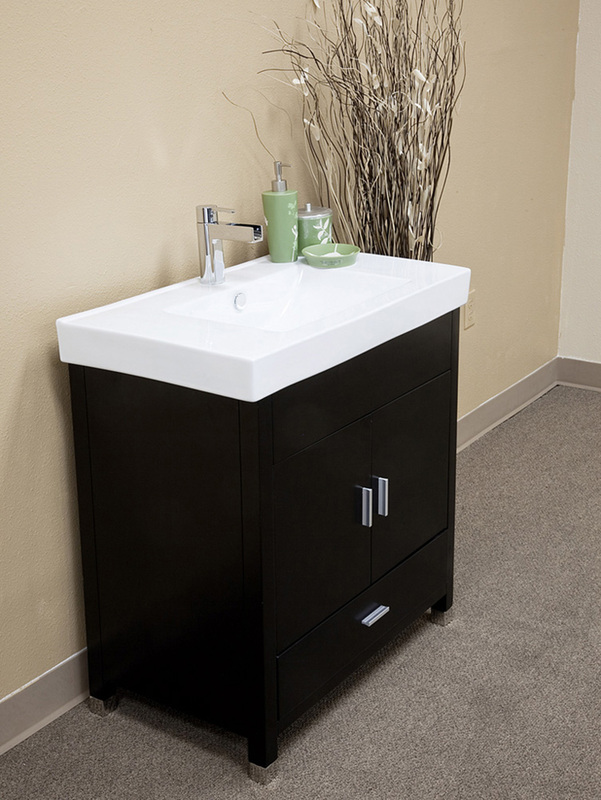 An optional side cabinet is available as well, featuring the same great modern design, three drawers, and additional surface space. 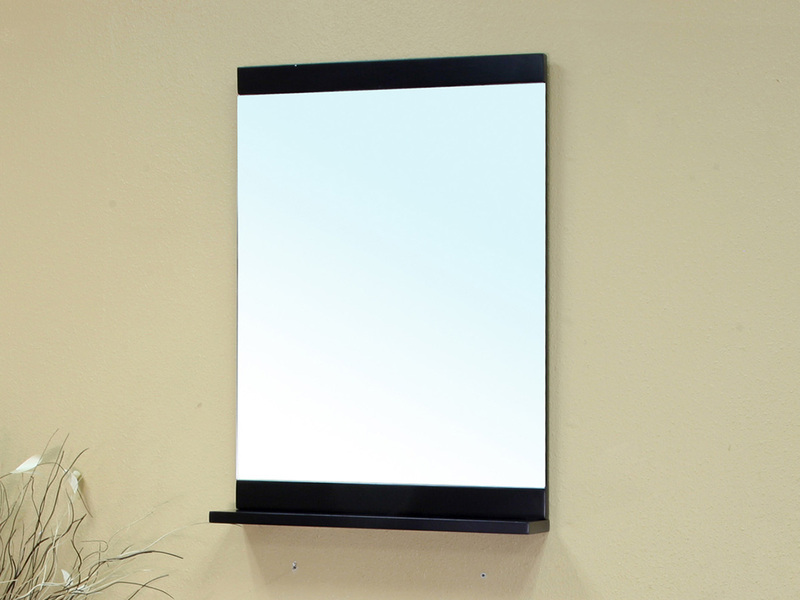 A matching mirror is also available to complete your bathroom's modern look.